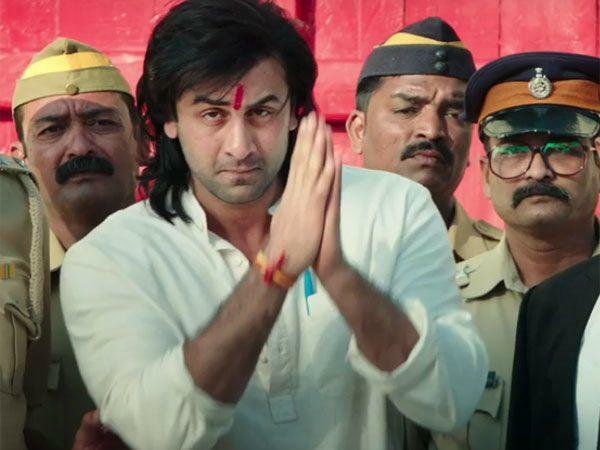 RSS mouthpiece “Panchjanya” has questioned why Hindi cinema is fascinated by stories on “tainted characters”, slamming the Sanjay Dutt biopic “Sanju” in a strong way. “Panchajanya” has minced no words as it delved on the dark phases in the life of Sanjay, who spent a jail term for possession of arms in connection with the 1993 serial blasts, was a drug addict and had multiple relationships in its cover story titled “Kirdaar, daaghdaar”. The magazine article raises three questions about the Rajkumar Hirani directorial and Ranbir Kapoor-starrer, which has been on a box office earning spree since releasing on June 29. It questions whether Sanjay, son of late actors Sunil and Nargis Dutt, had qualities that his life story should be glamourized on the big screen or be portrayed as if he is an idol. And if the makers are boasting about the money that the film is minting, it proves that Indian cinema’s “high moral ground seems to be licking dust”. Secondly, it questions if the movie is a PR exercise to whitewash a stained character because it either conceals a lot of negative things about a character who has been jailed multiple times and had been a drug addict. “Panchajanya” has also hit out at the film’s director Hirani, pointing out how through his past movie “PK” he had made a sly remark on Hindu religion. The larger question, however, according to the article, remains why the Mumbai film industry brings the mafia and underworld into spotlight by making films on India’s most wanted criminals who have a connect with the 1993 Mumbai bomb blasts — sometimes on Dawood Ibrahim or his sister Haseena Parkar or Chhota Rajan or Arun Gawli. “There’s talk on social media, questioning if this is being orchestrated by someone. Who is funding these projects?” the article asks, in reference to films like “Raees”, “Haseena Parkar”, “D-Day”, “Once Upon A Time In Mumbaai” and “Once Upon A Time In Mumbaai Dobara”. Director Deva Katta Is All Set For Comeback!